People have been constructing stone buildings for their house and other service needs for hundreds of years since stone has been the most abundantly found building material. Not only have they been using the stone for walls, but also as a roofing material. Timber, being the second most abundantly found material, has also been in use in combination with stone for roof construction. In other words, the construction system was based primarily on these two materials stone and timbers. And, has been the backbone of the traditional construction. 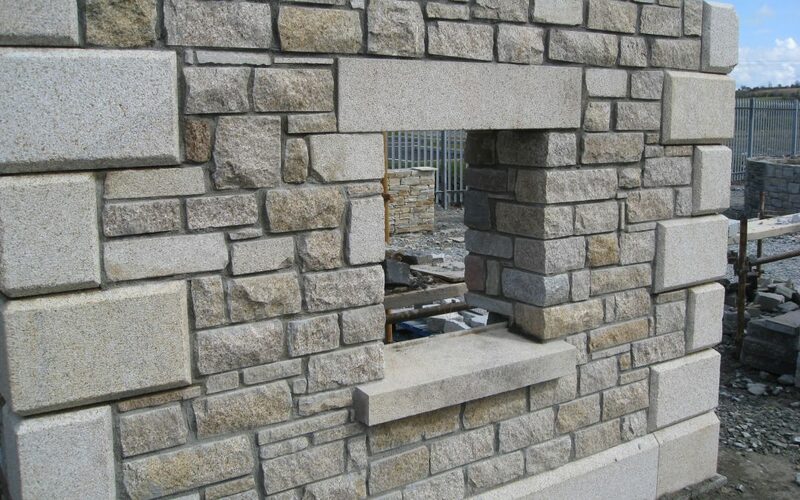 If you want to carry out safe and quality stone masonry work then you have to follow guidelines during stone masonry work. So here are the guidelines for stone masonry work. 06. Each stone block (unit) should be well watered before use so that it does not absorb the water of the mortar. 07. In order to obtain the uniform distribution of loads, under the ends of girders, roof trusses, etc. large flat stones should be used. 08. As far as possible broken stones, small pieces and chips should not be used for facing and backing. However, these may be used in hearting for proper packing with mortar. 01. 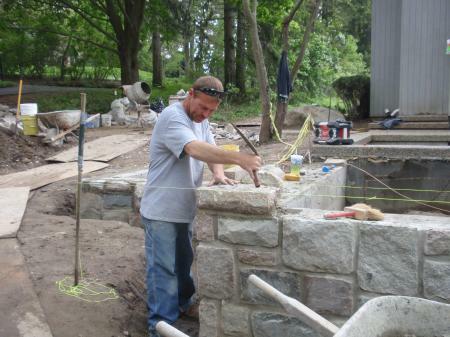 Proper bond should be maintained during stone masonry construction. 02. The stone masonry structure should always be designed to take compression and not the tensile stresses. 03. The regular diminishing of thicknesses of the courses should be done if varied from the bottom to the top of the wall. Keep an extra supply of stones at the site to select from. 04. The pressure acting on stones should be vertical. The pressure acting along the direction of bedding planes causes splitting of stones. 05. The headers and bond stones should not be of a dumbbell shape. 06. The masonry should be provided with an adequate number of through bond stones (A stone that is set with its longest dimension perpendicular to the face of a wall and whose length is equal to the thickness of the wall.) at every 1.5 m c/c in a zigzag way. 07. The cornerstone must be capable of bearing the weight of every stone built upon it. It must be the strongest stone over all others stone. 01. The stone masonry construction should be raised uniformly to avoid non-uniform distribution of load on the foundation i.e. not to construct height of more than 3 feet every day. 02. The plumb bob should be used to check the verticality of the erected wall. Also, the wooden template should be used to check the battered faces. 03. Double scaffolding should be adapted to carry out the stone masonry construction at a higher level. 04. The masonry hearting should be properly packed with mortar and chips if necessary, to avoid shallows. 05. Cleaning and saturation of each stone should be done with water before setting it. Cleaning and moistening of a bed should be done. 06. 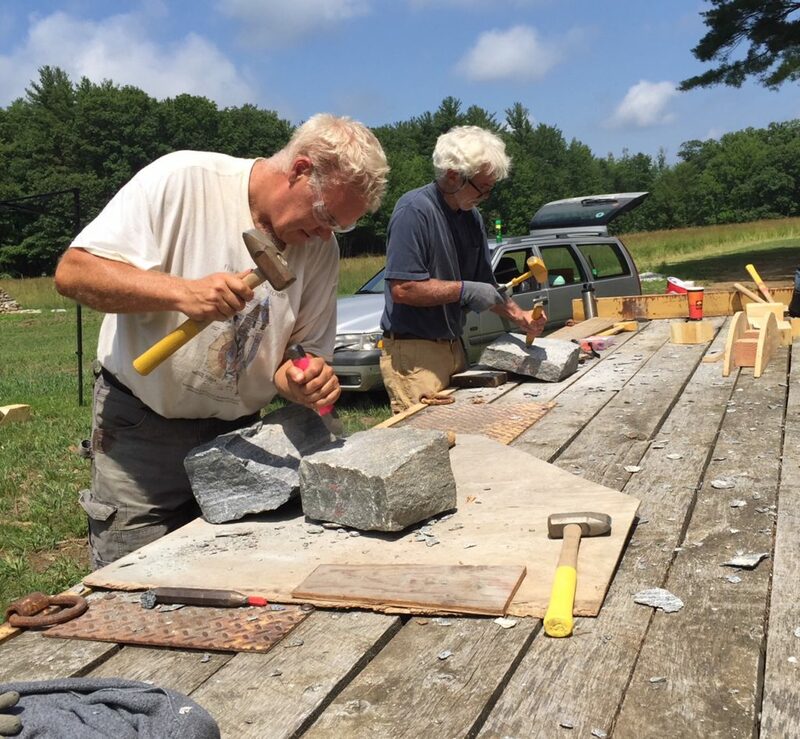 Stone should be placed in a freshly made mortar with full joints. Carefully put the stones in place before the mortar sets. What are the Pros and Cons of Masonry in Construction? 07. Thoroughly wet the pointed joints after the stone is laid with clean water and fill with mortar. 08. Hollows in stone masonry construction should be properly filled with mortar and stone chippings. 09. When stone masonry construction is to be started over dry and old masonry surface, it should be cleaned well with brushes and raking the old mortar and watered sufficiently before starting the new construction. 10. Quoins used to form the jambs for windows, doors and other openings should be of the full height of the course. The breadth and length of quoin should at least be 1.5 times and twice its depth respectively. 11. After the stone masonry construction is over, the whole work should be cured at least for 2 to 3 weeks. 01. The mortar to be used for stone masonry construction should be of good quality and proportion and should also have adequate workability. 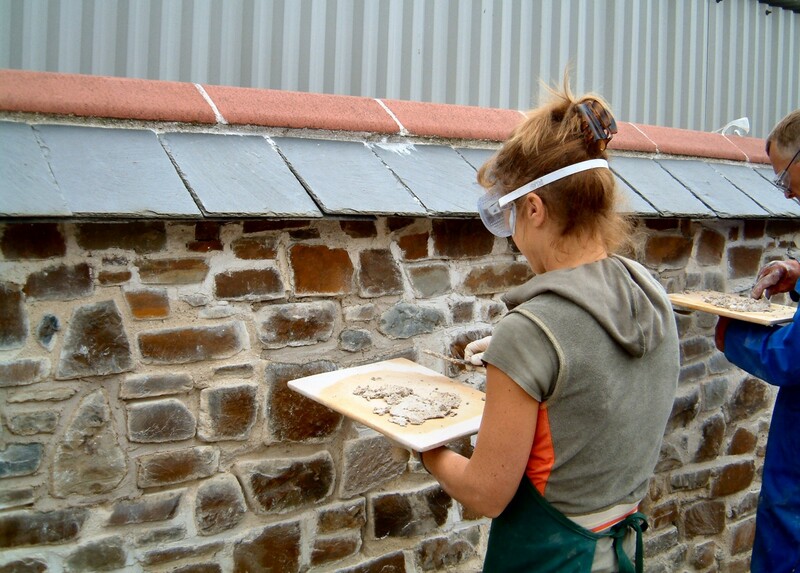 Generally, lime mortar may be used for work above plinth level. But in damp proof construction, cement mortar may be used for masonry below plinth level. Cement mortar may be used for masonry above plinth level also if high strength is required. 02. Drive the mortar into the joints and finish with an approved pointing tool. 03. Do not cover the stone face surfaces with the mortar forced out of the joints or the mortar used in points. 01. Lay the masonry in roughly levelled courses. Check that the bottom of the foundation is large, with selected stones. 02. Lay the courses with leaning beds parallel to the natural bed of the material. 04. Do not lay the masonry in freezing weather or when the stone contains frost, except with permission subjected to the required conditions. 01. Construction of continuous vertical joints should be avoided. 02. Make sure that the beds and joints have an average thickness of not more than 1 inch. (25 mm). 03. Make sure that the vertical joints in each course break with the adjoining courses at least 6 inches. (150 mm). 04. Do not place vertical joints directly above or below a header joint. 05. If a joint is broken or stone has moved after the mortar has set, take the stone up and thoroughly clean the mortar from the bed and joints. Reset the stone in fresh mortar. 01. Whenever possible, the proper pointing of the face joints should be done before the mortar sets. If joints cannot be pointed, rake them out to a depth of 1 inch (25 mm) before setting of mortar. 02. Keep the wall wet while pointing. In dry or hot weather, protect the pointed masonry from the sun and keep it wet for at least three days after the pointing is finished. 03. Do not perform pointing in freezing weather or when the stone contains frost. 04. After the pointing of stone masonry work is completed and the mortar is set, thoroughly clean the walls and leave them in a neat condition. Stone masonry is hard to repair or relocate and also cannot be altered easily. Stone is not only heavy and hard to install but quite dangerous. Sometime, serious incidents may happen where joints inside the interior wall have deteriorated due to a lack of drainage for moisture which led to the overall collapse of the stone masonry structure. So, it is must to follow guideline during stone masonry work. Things to Keep in mind while doing Tiling Work at Home! Next PostNext Acrylic Finish VS Laminate Finish: Select the Best for your Kitchen Cabinets!! !